I know all of you LOVE LOVE LOVE the red from this winery, especially the red from Luberon, but here is the white to knock your socks off at a great price point. 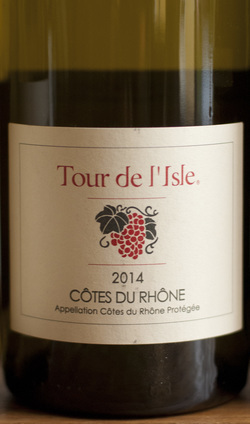 It is almost equal blends of Grenache Blanc, Roussane, Marsanne and Clairette—the perfect Côtes du Rhône Blanc. With its Pear aromas this stunning bright beauty will win you over. Remember that the winemaker could be a doppelgänger for George Clooney…. now go taste the wine with that visual.